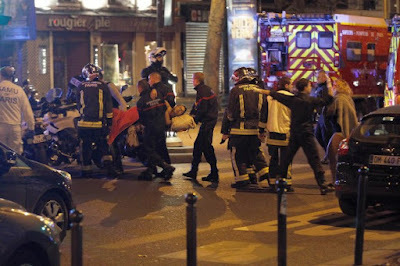 Terrorist attacks took place on November 13 in Paris, with one of the attacks taking place at the Bataclan concert venue, where Eagles of Death Metal had been playing a show. Members of Halestorm, Slipknot, Anthrax, Red Hot Chili Peppers, Black Veil Brides and many more offered their thoughts on the attack. You can see the tweets below. Our thoughts go out to everyone in Paris right now. Horrible & very sad. Heartbroken hearing the news coming out of Paris right now. Peace to Paris. Love to the people there. Peace. Peace.